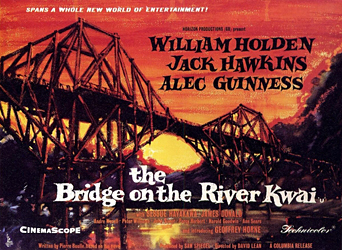 I keep thinking about the 1957 film, “The Bridge On the River Kwai,” directed by David Lean. Each day I flash on a particular scene — what’s known as the “What have I done?” scene — the blistering moment of epiphany when Lieutenant Colonel Nicholson realizes that he’s become a collaborator with the sadistic commandant, the enemy, Colonel Saito. You can go here for a full background on the plot, or watch the movie yourself. Here’s a quick synopsis: During World War II, British soldiers in a Japanese prison camp are tasked with the construction of a railway bridge over the River Kwai. 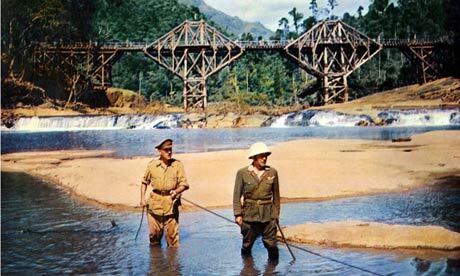 The soldiers work poorly and sabotage the job until the well-intentioned Nicholson, played by Alec Guinness, intervenes. He believes that the honorable thing to do is to demonstrate their British work ethic and ingenuity. To, in effect, build the best bridge possible, despite its military value to the enemy. Meanwhile, there’s a plot underway for a commando mission to destroy the bridge before it’s completed — for obvious tactical reasons. So these two forces, purportedly on the same side, work at cross-purposes. One to build the bridge, the other to destroy it. In the end, at the revelatory moment before his death, Colonel Nicholson realizes what he’s done. That he’s been a fool, a dupe, tricked into working against the best interests of his own country. And that’s when I think of all those people who voted for Donald Trump. Or who smugly sat out the election, casting away their ballot on the mirage of a 3rd party “protest vote.” Who thought maybe the country needed a new voice. That change might be good. Or that it didn’t matter. I wonder if one day some portion of those seemingly well-intentioned citizens will lean over the bridge to spy the exposed wires. If their eyes in awakening horror will register the reality of the wires that run to the explosives placed under the bridge. If they will follow those wires hidden under the water into the brush, to discover the detonator. To finally understand. If they will realize the role they’ve played in the undermining of great American core values. 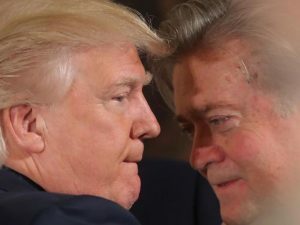 If in that moment of incipient awareness they will see — eyes now wide open — that they participated in a war on free speech, a war on equal rights, a war on decency and morality and American ideals. That they’ve participated in giving the voice of hatred and bigotry and abject corruption a seat on the National Security Council. That they have collaborated with the enemy. 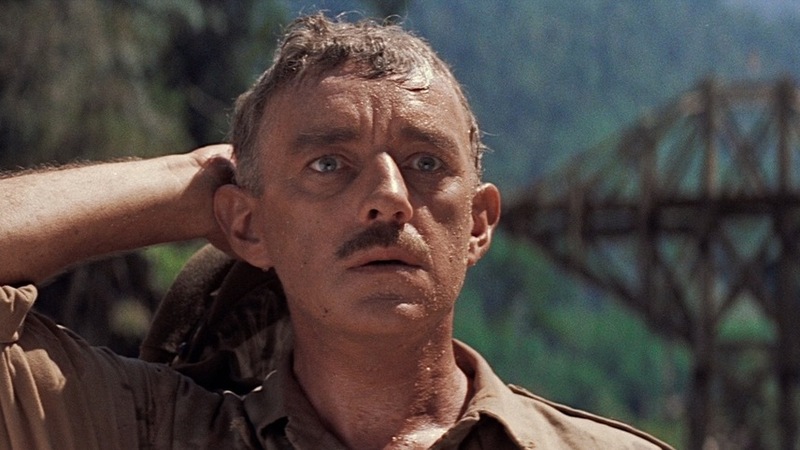 Category: Current Events / Tags: Alex Guinness, David Lean, Donald Trump, The Bridge on the River Kwai, The what have I done scene, What have I done?